Most of the ISPs commit the bandwidth pipe from your home to their end. Unfortunately many don’t know how they are cheated. I use MTNL Mumbai Triband connection which is 1.25 Mbps committed Internet speed line. In last 3 years the internet speed has deteriorated. If you ask them they recommend the speed test between your home and their server. This speed test shows what is committed is delivered but actually that is not what you get. If you visit SpeedTest.net and try connecting to different server locations, you’ll realize the Internet speed is not consistent across the different parts of the world. Most of the websites are hosted in USA Datacenter Servers so if your Internet speed to USA is slow, you’ll feel your Internet connection is very slow. In my Internet speed test report Indian server locations give good ping response, download and acceptable upload speeds. But when I test the same with American servers, speed is pathetic. This impacts me seriuosly specially when I am uploading some file like uploading a video to YouTube account. There is no way to complaint about this, because they deliver the 1.25 Mbps pipe to your home. 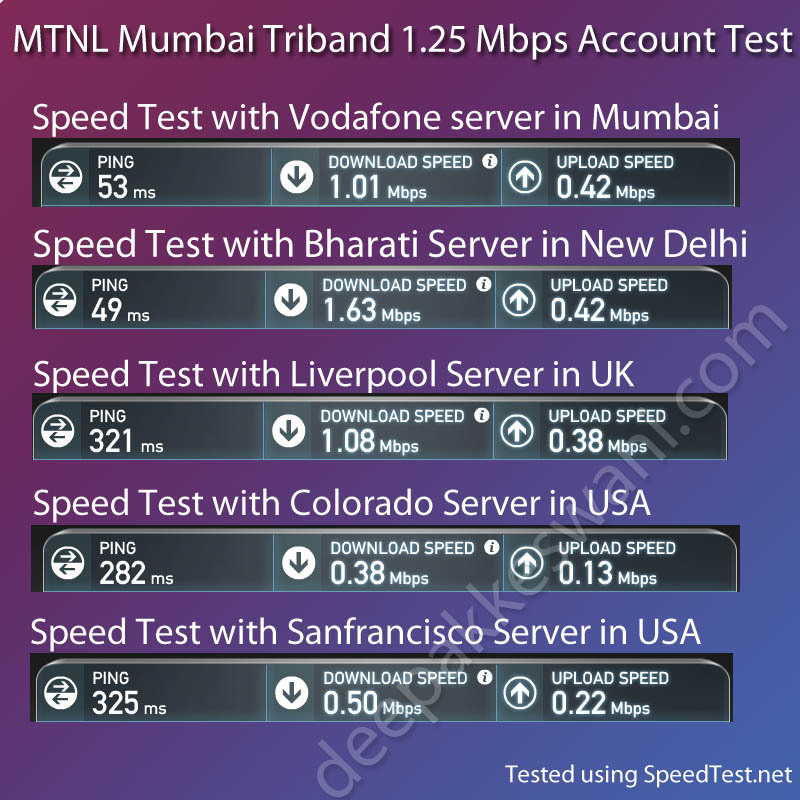 So it is always advisable, before getting a new connection from ISP, perform the speed test using SpeedTest.net from different locations of world. Don’t miss the USA, because thats where most of the websites are hosted. Prior to getting the ISP connection visit the friend or neighbour who has same ISP and test it first. 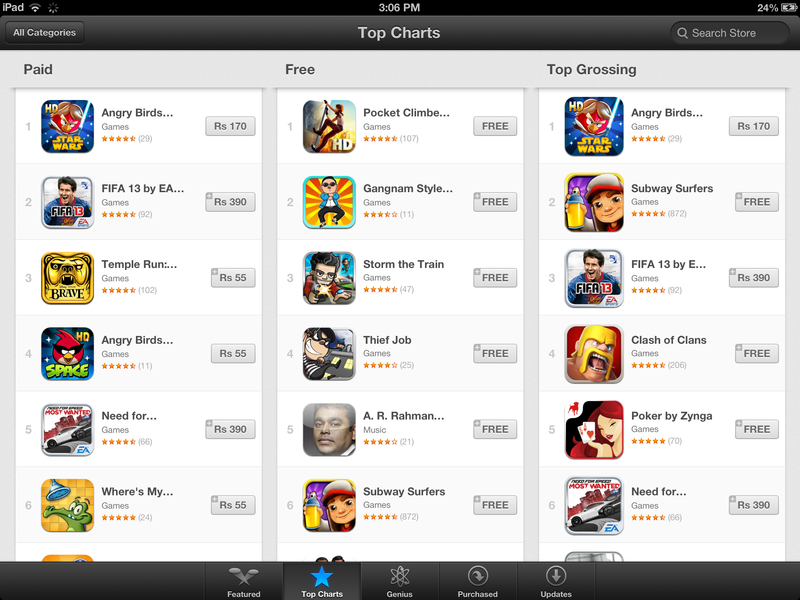 SpeedTest is also available as an app for Apple iPhone, iPad, iPod Touch & Android Mobile & Tablet devices. If you have not yet added Google fast DNS, you can add 8.8.8.8 as primary and 8.8.4.4 as secondary DNS for faster name resolution performance. But, problem is not with the DNS or name resolution, it is with the pipe. International pipes are clogged with over-utilisation of data usage. responding. Should I change DNS Server setting? There is no harm in trying Google Fast DNS server settings. 8.8.8.8 as primary and 8.8.4.4 as secondary. Mostly you’ll never encounter DNS issues after that. In case if you wish, you can note down the old DNS settings and re-enter those when you wish to reset. Or you can even push MTNL DNS settings as 3rd and 4th DNS Server. my broadband connection of unlimited 599combo plan from 2 years the internet speed slow down to reduce about 100kbps and i have registered many complaint to mtnl and they are saying modem is not working whenever the adsl is unstable and disortion in line . I have checked speed of broadband connection is 100kbps instead 512 kbps speed . I have checked speedtest between home to mtnl office there i am getting 100kbps instead 512 kbps. Mostly adsl is unstable.So what i can do to resolve this problem. * Use Ccleaner to clean your computer from malware. * Make sure you’ve not removed the splitter which separates the phone and internet frequency. * If you have WiFi, assign password to your router and WiFi access, so that nobody is mis-using. * If you are using Chordless phones, try switching them off to see if they are conflicting with your WiFi signal. * Try to test from Linux Bootable CD and visit SpeedTest.net to test the speed. If you still don’t see any improvement, File a Written complaint with MTNL. the adsl is continuously unstable. Tried everything………….But changing DNS settings works like a charm for me.